Who's behind the action? 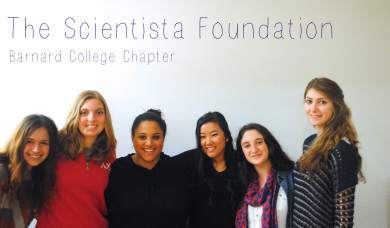 Meet the fabulous Scientista execs who work hard to bring Scientista to you! 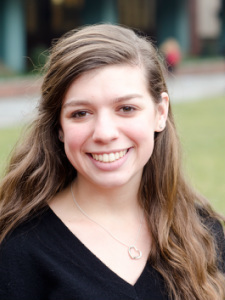 Maya Feldman is a Junior at Barnard College, majoring in Biology. She is from Newton, MA, a suburb just outside of Boston. Maya has been interested in the sciences, especially Biology, ever since she was in elementary school. Scientista has given Maya the opportunity to be surrounded by women who are just as passionate about STEM as she is. Aside from Scientista, Maya is involved in several different campus organizations, including several dance groups, Hillel, Sigma Delta Tau Sorority, and doing research in the Biology department. When she is not busy doing homework, Maya can be found dancing, TAing, and hanging out around the Biology department. Maya also loves summer camp, and just spent her eleventh summer there! 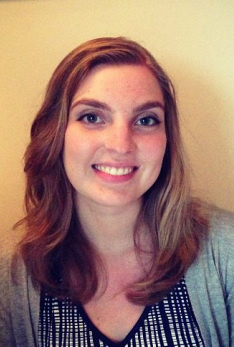 Amanda is a Senior at Barnard College, majoring in Psychology and with a minor in Education. Since taking a seminar with a focus on the topic, Amanda has been serious about supporting women in STEM. An important member of the CU Earth Coalition, she also has a special interest in the environment. Amanda is from Darien, Connecticut. Amanda loves everything that is raspberry flavored and has a siamese snack collection! Her favorite things to do in her free time are explore Manhattan, play tennis, and tutor young students. Angelica Leon is a senior at Barnard, majoring in Psychology with a minor in Statistics. As a transfer from Cornell University, Scientista has allowed Angelica find a community that shares the same strong interest as she does in STEM. Angelica aspires to work in the health field and is involved with the Barnard-Columbia Chorus, Pre-Health Student Organization, is a member of Sigma Delta Tau. She is currently an RA at the Social-Cognitive Neuroscience Lab at Columbia University and spent the last summer working at Cornell Medical College in a neuroscience research lab. Katie is currently studying abroad at Oxford University! Rebecca Giglio is originally from suburban New York, now studying in it’s bustling city at Barnard College as a senior. She is a psychology major with a spanish and biology minor. Aside from contributing to the goals of Scientista as a board member of Barnard’s chapter, Rebecca is also a research assistant in Barnard’s speech perception lab and a teaching assistant for the cognitive psychology lab course. When she is not engrossed in her science studies, she is speaking rudimentary spanish, working on random graphic art projects, or discovering viral youtube videos on her Facebook newsfeed. She is very much looking forward to the upcoming Scientista events and the opportunity to work with so many inspiring women! Welcome, Barnard Scientistas™! We are currently accepting applications for our 2013-2014 executive board. If you are interested in joining, please fill out the inquiry form below. Leadership opportunities, including becoming co-director, are available! Questions or inquiries? Contact us at barnard@scientistafoundation.com. Apply to join the 2013-2014 Board! The Co-Directors are responsible for overseeing all activity in the organization. The Director(s) will work directly with the Scientista National team to manage the chapter, oversee recruitment, event planning, publishing, and all branch activities. Director(s) will also serve as campus representatives for Scientista Presidents' Circle, an exclusive network for presidents of women in STEM from across the Boston region. The Treasurer is responsible for fundraising, applying to grants, and keeping track of the chapter's budget. This person plays a vital role in keeping the chapter in the green! The Managing Editor will be responsible for maintaining our online presence. As Managing Editor, this person is responsible for campus-related content creation, and editing of writing by the writing team. As chapter publisher, this person will lay out and publish articles to the campus blog. This person will work closely with the other committees as well as the national team. The Public Relations Committee will be in charge of promoting Scientista to the campus. PR is responsible for launching marketing campaigns, and managing relationships with other student organizations. PR will work closely with the other committees. The Events Committee is responsible for spearheading social and academic events for Scientista members and working to put on events with other organizations on campus. Events include socials, study breaks, speaker panels, parties, intercollegiate events, etc. The Department Affairs Committee will be responsible for forming and maintaining relationships with faculty and other members of academic departments. They are responsible for seeking out and posting department-related opportunities to the website. 1. Why do you want to join Scientista? 2. What qualities and/or relevant experience do you possess that make you a good candidate for the position you have indicated? 3. What are three ideas that you would implement in your role? 4. Please list your other time commitments for this year. 5. In the case that you are not chosen for your position, you may select one or two "drop-down" positions that you would like to be considered for. These can be either executive positions or committee chair positions. Please list the positions, in order of preference.